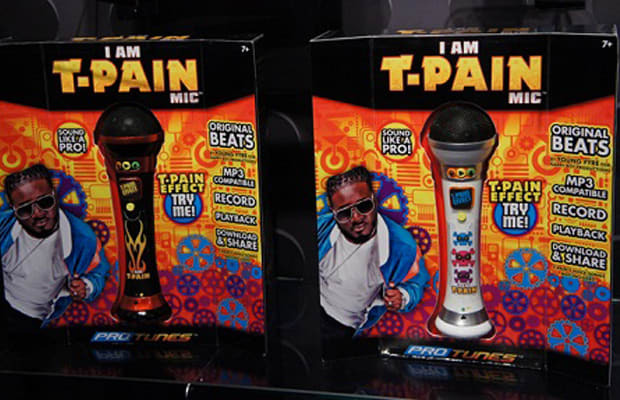 After the success of T-Pain's now immensely popular iPhone app, I Am T-Pain, taking the next step to Toys"R"Us was a no-brainer. The only surprise is that it took Teddy P this long to capitalize off his gimmick. Judging by how spectacularly his most recent LP Revolver bricked, it's a good thing he's got some outside income.